Under the guidance of Nintendo, Rare Inc. found itself on quite a roll for nearly a decade before Microsoft stepped in. Reinventing iconic characters like Donkey Kong, popularizing first-person shooters on the consoles, and being the most prolific developer for the Nintendo 64 besides Nintendo themselves. Nothing seemed impossible for the talented British development team. One other claim to fame was delivering one of the few western developed fighting series to match the popularity and quality of its Japanese counterparts. The combo-heavy Killer Instinct and Killer Instinct 2, ported to the Nintendo 64 as Killer Instinct Gold, still retain a large fanbase. So what happened to such a popular series? Microsoft bought Rare in 2002 for $375 million and delivered a C-C-C-Combo Breaker to Rare's infallible reputation (sorry, I had to put that somewhere). Their creative magic seemed to be lost in a wave of bad press and bombastic titles. In an interview with Not Enough Shades, ex-Rare developer Donnchadh Murphy claims that Microsoft was more interested in using their family-friendly characters and image to spread the demographics of the Xbox. "At first it seemed that they wouldn't interfere much, but it was soon clear that they were more interested in using Rare to help aim at a younger market. This stifled a lot of creativity, Rare was renowned for their diverse portfolio, so to not be involved in making Mature games was a real blow." "Probably the same game every Rare fan wants to see and that's Killer Instinct. 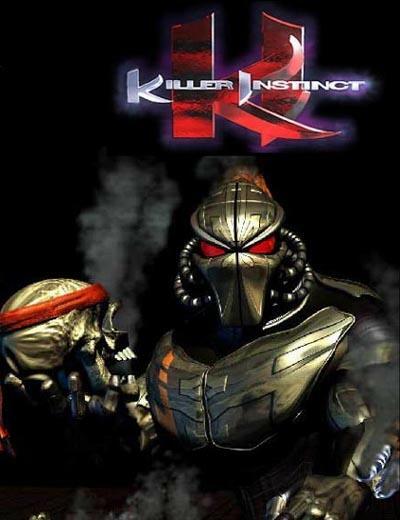 We all wanted to make KI3, but Microsoft was more interested in broadening their demographic than making another fighting game. So it never got made, I doubt it ever will." Instead, Microsoft would publish gems like Kakuto Chojin: Back Alley Brutal, a poor-man's Tekken clone that got recalled for offensive religious material, and Tao Feng: First of the Lotus, a back-breakingly horrible fighting game. And instead of putting a well known fighting game IP in the hands of guys who knew what they were doing, Rare was given the task of creating Grabbed by the Ghoulies. Good call there, Microsoft.